Dundrennan Abbey is situated in a stunning location on the bank of Abbey Burn, below the A711 running through Dundrennan Village. 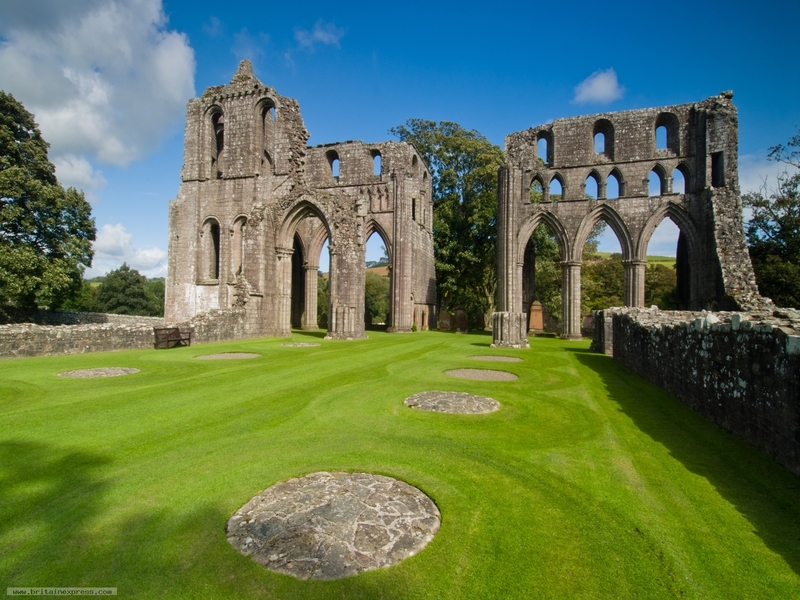 You can actually get the best views of the whole abbey from the main road, but its well worth exploring the abbey ruins. I was lucky; the sun had been playing hide and seek while we visited, but here it popped out and lit the abbey ruins for a few wonderful minutes.